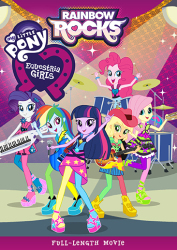 Grab Your Popcorn, Because The Equestria Girls Are Back For A Magic-Filled Triple Feature! 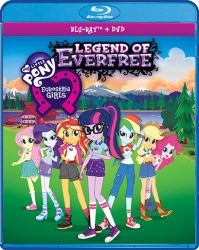 When Rarity finds out about a music video competition, she's eager to convince her friends at Canterlot High to enter the contest. The girls soon learn that Crystal Prep Academy are also interested in participating in the contest. The students at CPA have many more resources and are better dancers! Will they be able to pull together and make a winning music video? 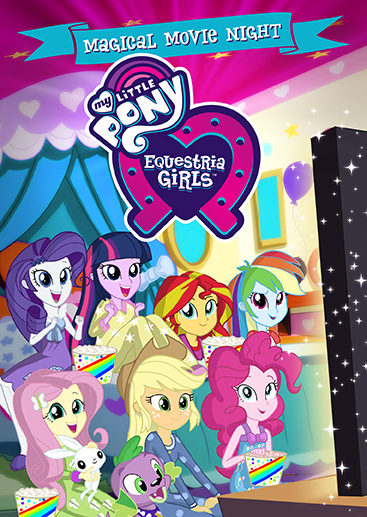 The Equestria Girls have been specially invited by A.K. Yearling to go on the set of the upcoming Daring Do movie and they are overjoyed. 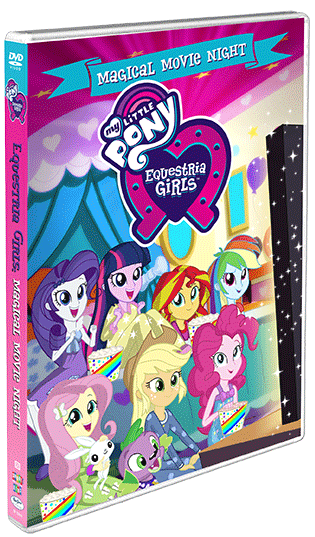 For super-fan Rainbow Dash, watching behind the scenes as her favorite heroine comes to life is a dream come true. But when a rare and important prop from the set goes missing, putting the movie on hold, Rainbow Dash's dream becomes a nightmare. 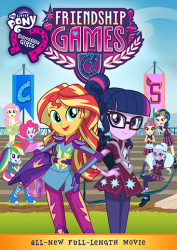 As the pages in her journal run out, there's only one thing for Sunset Shimmer to do: return to Equestria to get a new journal! There, she meets Starlight Glimmer and agrees to bring her back to experience life at Canterlot High. But while Sunset Shimmer was away, a revenge‐seeking Juniper Montage finds a beautiful hand mirror enchanted with Equestrian magic. Not only can it provide a window into another land, but if you push the right button, it can also make things disappear into limbo, trapped between the two realms!